These Lemon Poppyseed Muffins are perfect for Spring & Mother’s Day! They are so fluffy, filled with lemon flavour and are vegan and gluten free! This is sponsored post by Bob’s Red Mill. Thanks so much for supporting the brands who support Jessica in the Kitchen! All texts and opinions are my own. Happy Friday friends! This post will be dedicated to mi Madre, my mom, my mum! 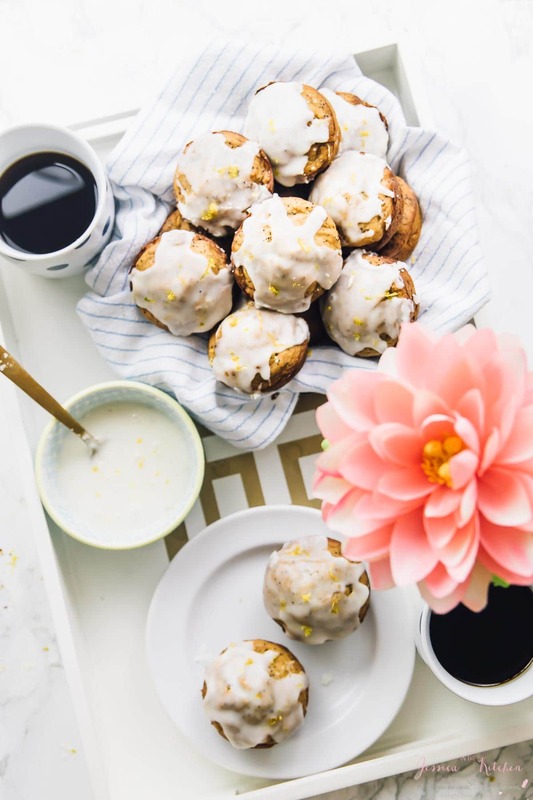 Mother’s Day is less than 10 days away, and I want to prep you ahead of time so that you too can make these delicious Lemon Poppyseed Muffins as a delicious treat you can gift to your darling mom/mum. By the way, I suggest grabbing one before handing these over – she’ll definitely be hesitant to share them after one bite! Now, my mom. My mom is without a doubt, the strongest woman that I know. She has taught me to fight through unimaginable circumstances, and always come out in the end with my head held up high. I learned just by watching her do it in her own life. She’s gone from someone who raised me, to my literal boss, to one of my best friends. While I miss working with her daily in the law firm, I would never want to replace the role she currently has in my life. My mom is the spell-checker, contract reader, taste-tester (although my brother and the Mr. tend to play that role more often) and statistics checker behind Jessica in the Kitchen and SO much more. 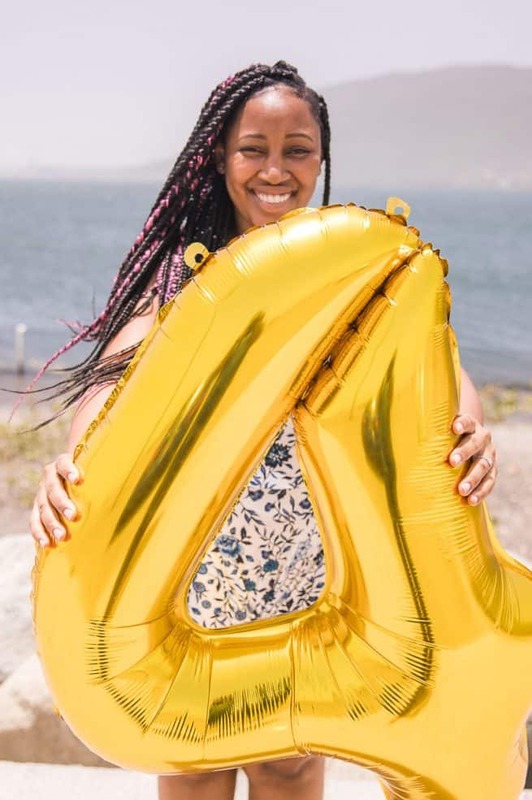 It’s incredible how much support my mom and my dad (Dad, your post is for Father’s Day!) have given me throughout this entire journey; I would not be here without them. Now, it’s a bit early for a Mother’s Day dedication, right? My mom won’t be at home this year for Mother’s Day, so I’ll be handing over her muffins early, and her gifts later on. 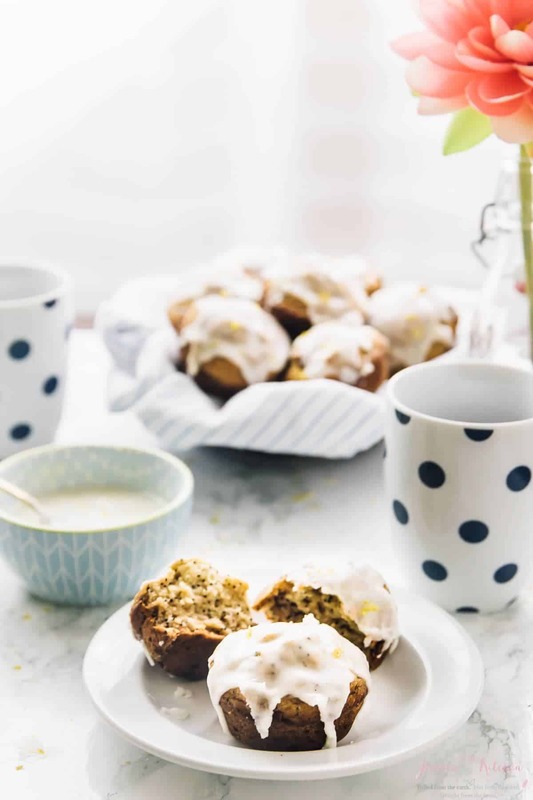 Speaking of which, these Lemon Poppyseed Muffins will no doubt put a smile on your mom’s face. My mom has had some issues with gluten and dairy products, and I wanted her to be able to get a perfect treat that she would be able to enjoy 100%. What better to solve those issues than with Bob’s Red Mill products? Uh, Exactly. Perfect. I’ve been using Bob’s Red Mill products for, I’m not even sure how long, but it runs as far back as the last 8 years of my life. I’ve always found that their products are insanely easy to use, make for the easiest swaps possible, and always, always work. 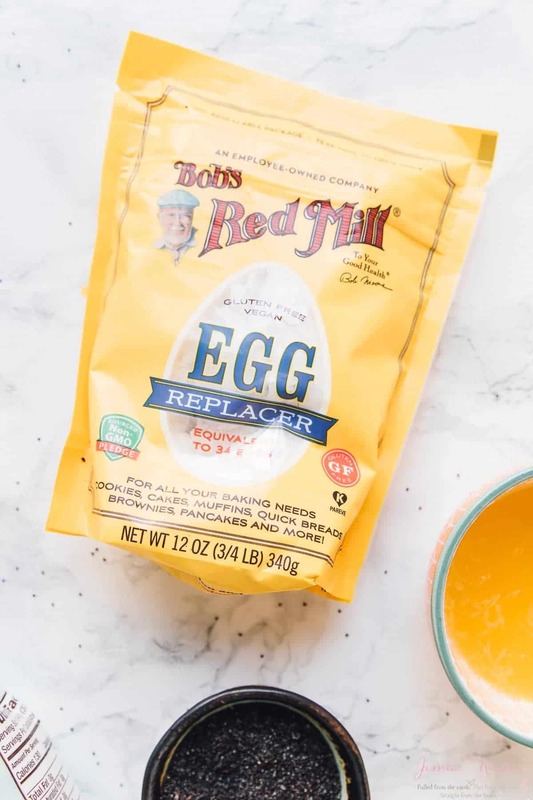 If you’re a regular Jessica in the Kitchen reader, then no doubt you’ve seen everything from lentils to chia seeds, to oats that I’ve used from the Bob’s Red Mill brand. 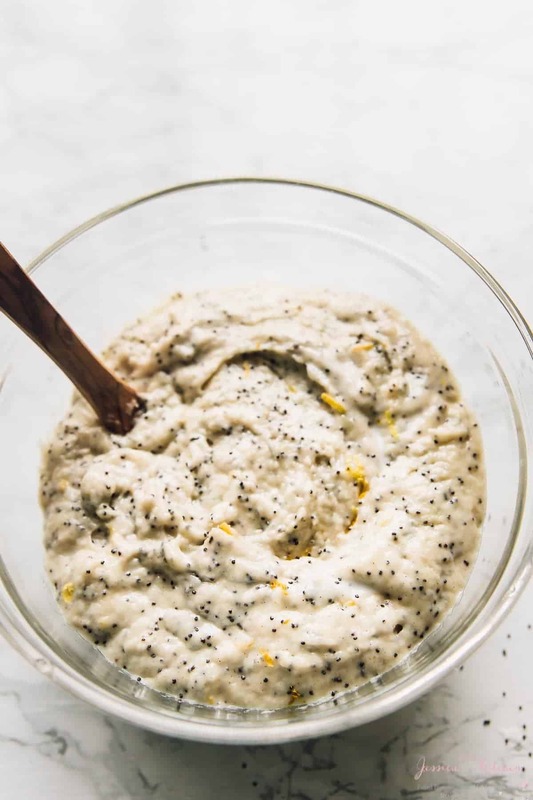 For this recipe, I wanted to use one of my old favourite lemon poppyseed muffins that I’ve been making for years and to veganise it and make it gluten free at the same time. The result? Complete success. Like, these muffins are, well, PERFECT. Incredibly fluffy on the inside, bursting with lemon flavour, and the perfect size for a quick breakfast or an afternoon treat with tea. There are a few steps involved, but nothing challenging in the least. First, I prepped the Bob’s Red Mill Egg Replacer, and that substitutes the egg I used to use in this recipe perfectly, while still adding beautiful structure to this muffin. What I love about this Egg Replacer is that it doesn’t add a flavour that most egg substitutes (a banana, applesauce, pumpkin etc.) 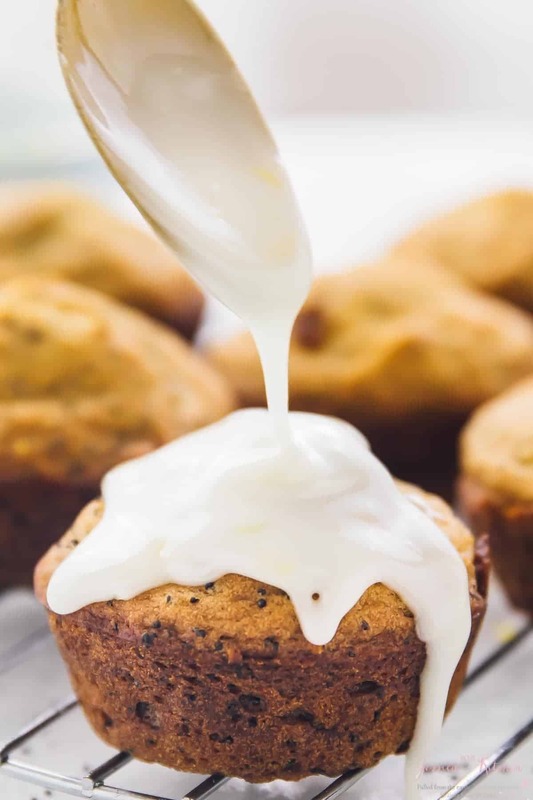 do to compete with the lemon in these Lemon Poppyseed Muffins. You don’t taste it at all. I swapped the flour with Bob’s Red Mill Gluten Free 1-to-1 Baking Flour equally and didn’t even notice the difference. In fact, the muffins come out even softer, and give an even more breakfast feel to the entire experience. 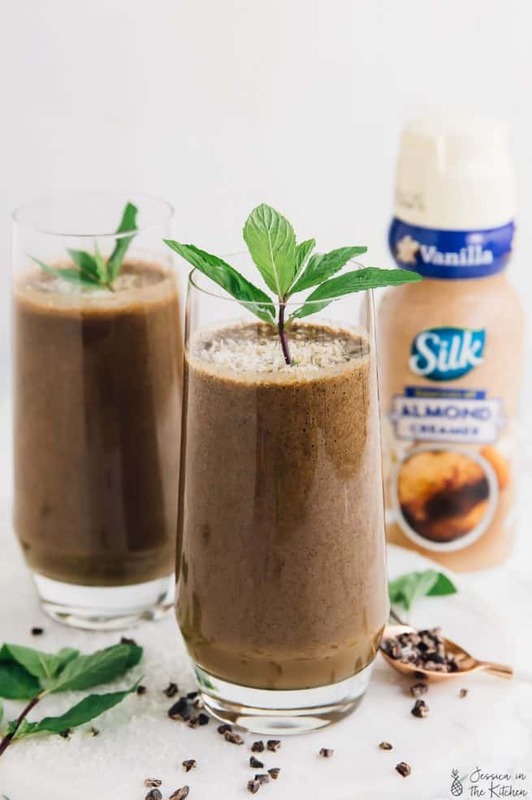 I even added some lemon juice to the almond milk to give it a buttermilk like texture to add to the recipe, which is something you should not skip. You may notice that I baked the Lemon Poppyseed Muffins at 425 degrees first and then switched to 350. This was a little trick I learned during my baking business. Doing this domes the muffins much more and results in a taller muffin at the end. Your muffins will still come out perfectly baked, and I guarantee you’ll see the difference with this easier trick. Just when you thought you were done with the amazingness, the lemon glaze takes it up an extra notch. They turn delicious Lemon Poppyseed Muffins into, I-need-more-than-just-one outstanding muffins. I mixed in extra zest into the glaze, and I believe it added to making the muffins even prettier. 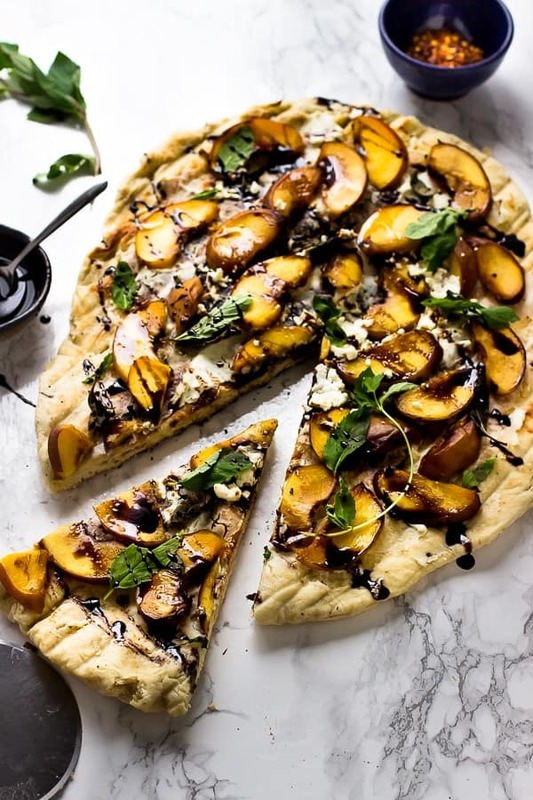 You can serve these with the glaze on top, or with the glaze on the side, which lasts days in the fridge. Cheers to my mom, and yours. I hope she has an outstanding Mother’s Day, and with these Lemon Poppyseed Muffins, she definitely will have a brilliant start to it! In a small bowl, mix 1 tablespoon of lemon juice with the almond milk to create a buttermilk. Set aside. Preheat oven to 425 degrees Fahrenheit. Spray a muffin pan with non-stick flour spray or rub with vegan butter and dust with gluten free flour, removing excess. In a mixer, cream the butter, sugar and vegan yogurt together with the lemon zest for about 3 minutes. 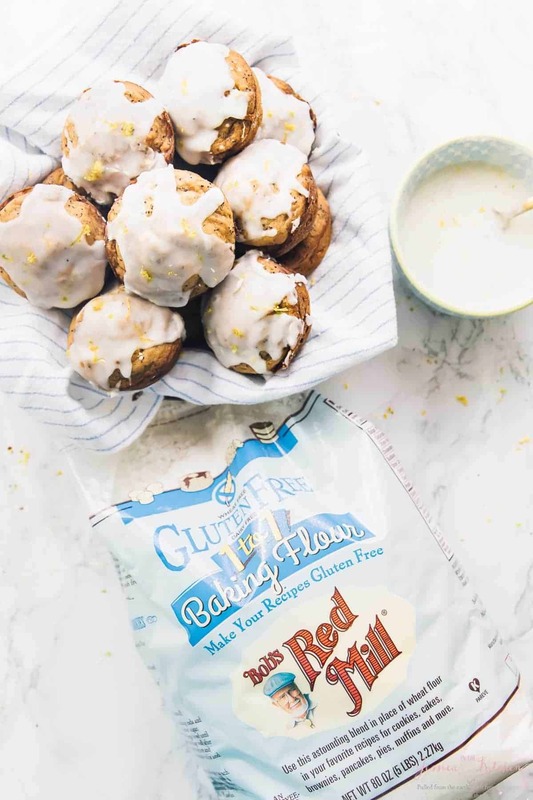 While mixing, whisk the Bob’s Red Mill Gluten Free 1-to-1 Baking Flour, baking powder and sea salt together in another container. Set aside. In the butter sugar mixture, add the Bob’s Red Mill Egg Replacer mix and the vanilla to combine for another 30 seconds, scraping down the bowl. Add the rest of the lemon juice and mix to combine for another 30 seconds. The batter will be watery. Add the flour mixture to the bowl, alternating in sets of three with the buttermilk, ending with the flour. Add the poppy seeds and mix one last time to distribute them throughout the batter. Using a 1/4 cup measuring cup, pour the batter into each of muffin hole; they should be filled about ⅓ way high. Alternatively, you can just fill 10 muffin holes for slightly larger muffins. Bake for 5 minutes, then reduce the temperature to 350 degrees and bake for 18 minutes until a toothpick inserted into a muffin comes out clean. Remove from oven and allow to cool in pan for about 10 minutes. Remove (I just use the same toothpick that comes with it) and place on a wire rack to cool completely. Mix the powdered sugar and lemon juice together - note the glaze is very lemon-y and if you'd prefer a sweet glaze you can replace the lemon juice with milk. Pour glaze over the cooled muffins - about a teaspoon per cupcake. Allow to set (about 5 minutes) and enjoy! If you can’t find organic powdered sugar, you can grind organic sugar in a food processor until as fine as powdered sugar, which takes just a few short minutes to do. 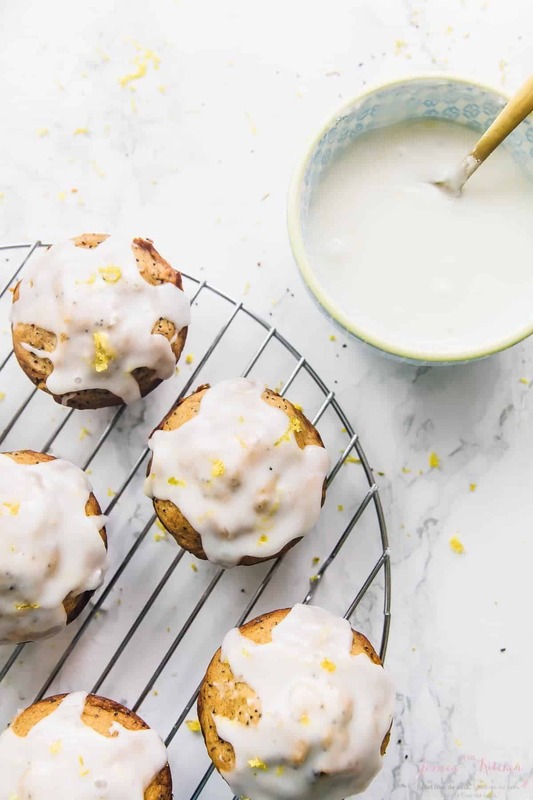 If you try these Lemon Poppyseed Muffins (Vegan + Gluten Free) please let me know in the comment section below, or tag me on instagram with the hashtag #jessicainthekitchen! For more exclusive recipes follow me on Instagram AND on Snapchat: jessinkitchen. Poppy and citrus are such a classic combo! These muffins look very inviting with that beautiful glaze. My mother would have loved these lemon poppyseed muffins with the lemon glaze. She was a lemon aficionado, as I am. I can’t wait to make these and I will be thinking of her when I do. There’s just something about a lemon poppy seed muffin that I can never seem to pass up. I am so in love with these– I mean, come on, that glaze? Perfection! Right?! These are very dangerous to keep around me haha. Thanks so much!! 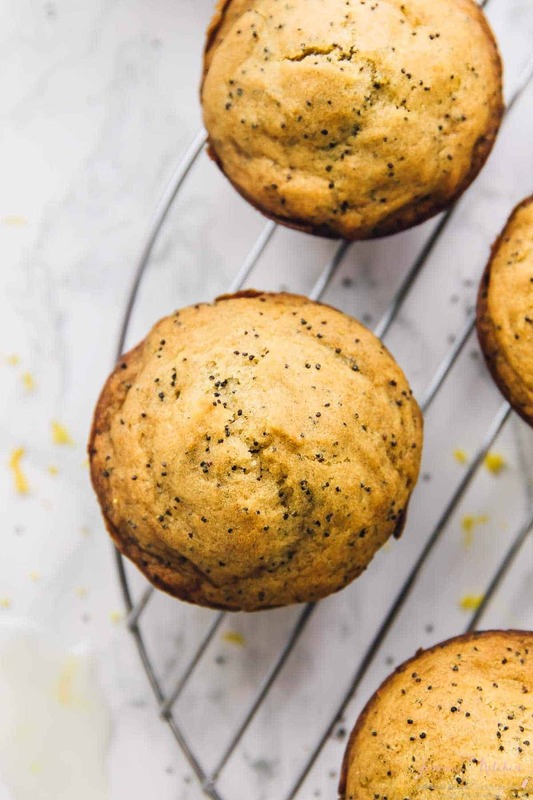 This lemon Poppyseed muffins will definitely be on my weekend menu! Thank you!! Bob’s Red Mill flour is the best flour right? !